Verse 18 is so poorly written that I understand how you reached the conclusion that verse 19 is calling the Aaronic Priesthood the greater priesthood. But no, “this greater priesthood” refers to “the priesthood after the holiest order of God”, with which the priesthood of Aaron “continueth” and “abideth”, but not with which it is equated. Keep in mind that the phrase “Melchizedek Priesthood” hadn’t been coined yet, or “Aaronic Priesthood” either, for that matter, and they wouldn’t be, I believe, until 1835. It’s no wonder Joseph Smith would want to rebrand the two priesthoods a bit, because all these references so far to “Holy Priesthood”, “high priesthood”, and “priesthood after the holiest order of God”, end up sounding pretty ambiguous, but they all mean Melchizedek Priesthood. The passage is this section, about how the whole church will remain under condemnation until its members remember the Book of Mormon, is kind of a big deal. Like you pointed out, the Book of Mormon has been mentioned only rarely in the D&C, and it would continue to be hardly mentioned in the LDS church for a long time. Yes, the church would always use the coming forth of the Book of Mormon as a proof of Joseph Smith’s prophetic calling, but they would hardly touch on the book’s content. That changed in the 1980s. Enter Ezra Taft Benson. 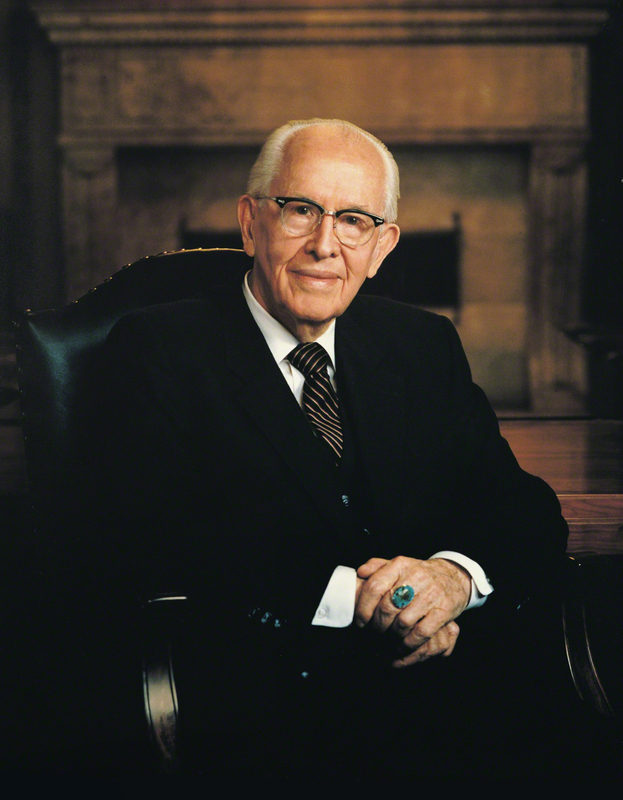 I’m not sure if Ezra Taft Benson has been brought up yet in the podcast or comments section before, but he was president of the LDS church in the late 80s and early 90s, and is perhaps best remembered in the church for his General Conference talk focusing on these verses, and recommitting the entire church to give the Book of Mormon more emphasis in their personal study of the scriptures. In recent years, it’s quite likely that church leaders draw more stories and quotes from the Book of Mormon than from the Bible for use in their talks, and current members of the church are almost certainly more familiar with the Book of Mormon than the Bible. Shifting the church’s culture about the Book of Mormon is perhaps Benson’s greatest legacy.